Football is no more a big man's game. The game now does not necessarily demand a strong, muscular presence of players. In fact, it has now got history and traditions of shortest football players who’ve proved their technical abilities in the game. So that leaves us with accepting the fact that height and strong built does not matter. All that counts is the technical skills a footballer possesses. And some of the shortest football players proved it absolutely right through their immense success in competitive soccer matches. Football is Most Played Sports in The World, In this article, we’ll let you know about the top 10 shortest soccer players in the world who, with their not much height, have proved themselves as among the best footballers in the world. So here’s a glimpse of these players, with no fear and no hesitation of playing the game. Take a look and enjoy browsing! Élton José Xavier Gomes is 1.54 m (5 feet 0.63 inches) tall, Brazilian footballer. This shortest footballer on the planet is an attacking midfielder for Saudi club Al-Qadsiah FC and is the one who was signed by the Romanian side Bucuresti in 2007. He shows uniqueness in football techniques and has his trademark afro style. This small stature footballer attacked in 11 goals for his former side Al-Fateh FC resulting in victory at the league for the first time. Besides being the shortest soccer player ever, he achieved some amazing success during his career. Daniel Alberto Villalva Barrios is 1.54 m (5 feet 0.63 inches) tall and is at no. 2 on our list of the top 10 shortest soccer players. He is from Argentina and is a striker for Mexican club Querétaro. Villalva is the shortest player in the team and was also the youngest player to play for River Plate. He is 21 years old and has also played for Argentina in the 2009 U-17 World Cup. Despite his small body he has been able to come up as a competent footballer the team could ever have. He is definitely the youngest and the shortest soccer player 2019. Marcin Garuch is 1.55 m (5 feet 1 inch) tall footballer who is a Polish national. He plays for GKS Belchatów club in the Polish League II and is known for his marvelous skills in dead ball situations. With his small size, he moves the ball quickly up to the forwards. Garuch with his small stature plays great football and his technical skill at the game is a solid proof of his abilities. He is undoubtedly one of the most talented and shortest football players in the world right now. Jafal Rashed Al-Kuwari is a 1.55 m (5 feet 1 inch) tall footballer and one of the shortest football players of all-time. He has played as a midfielder for Qatari side Al-Sadd and 2009 was the year of his retirement. Rashed played his farewell match against AC Milan and throughout his career, he has been a promising player for football. He has remained the captain of the Qatari national team and, also, played beach football for it. Despite his small height, he has proved himself as one of the greatest soccer players the world has ever produced. This 1.6 m (5 feet 3 inches) Portugal player who has now moved into management used to be a highly dangerous attacking midfielder. Barros has represented Porto, Juventus, and Marseille among other clubs in the late ’80s and ’90s. With his small height, he has made a name in the world of soccer. His skilled techniques at the game, his exceedingly well-playing style and his ability to keep the ball away from the opponents were proof of him having a successful career in football. He had scored 43 goals in 191 games which are another proof of him being a great footballer, irrespective of his short stature. All in all, with his proven abilities, he exhibits a promising career in football. Maximiliano Moraleznicknamed “Maxi”, is an Argentine Professional Footballer. This attacking midfielder for Major League Soccer club New York City FC has a height of 1.6 m. He is definitely shorter than most footballers, but ‘Frasquito’ is loved by everyone. He started his career in 2003. His efficiency and skills are more than what his height suggests. And the star of MLS certainly earned his place among the shortest football players 2019. Levi Roger Porter, the 31-year-old Briton has shown with a rigorous claim that size indeed doesn’t matter. With his 5 ft 3 inches modest height, this guy towers above many with his sheer magnificent skills. This is why Levi Porter deserves this position on this list of top 10 shortest football players 2018. 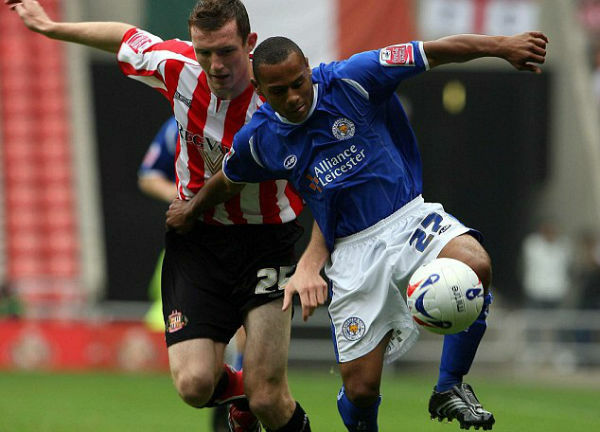 He began his career on a high note with a one-year extension contract with Leicester City. He earned acknowledgments while playing for the Foxes as the shortest soccer player in Premier league. Being a product of the Leicester City youth system, he had a lot to offer. With a few more teams showing interest in his worthwhile career, Levi finally joined the Shepshed Dynamo back in December 2014 and has been quite a dependable part of the squad ever since. If there’s a list of the short Height footballers who have made their names with their prodigious skill, Madson Formagini will be a sure shot to make it to the list. Born in 1986 at the football-crazy Rio, Madson was a football prodigy in making even as he started his career participating in the ranks of the local youth clubs. With the prestigious names like the Vasco da Gama club where he was a popular face in spite of his inconsistencies, he has a career to boast. The talented Brazilian currently plays for the Brazilian club Fortaleza FC. Right now aged 30…this young professional player on this list has a height of 1.68 m only. This roughly means that the player is 5 ft. and a little more than 5 inches tall. Born in the year of 1990, he is from Carmarthen, UK and has been playing football professionally since he was 16 years old. Despite being among the shortest football players, he is an amazing midfielder for Premier League club Stoke City. He earned praises all over the globe for his spectacular performance for one of the English Premier League champions Liverpool. As a fun fact for the gaming addicts, Allen current holds the position of shortest soccer player FIFA 19. Alexis Sanchez or simply Alexis is a Chilean professional footballer. With a height of 1.69 m, which is almost 1.7m, Alexis is rocking his life at age 30. Born in 1988, this Chilean footballer who plays for one of the richest soccer clubs Manchester United is amazing at what he does and is a successful footballer as of now. He joined the Spanish giants Barcelona in 2011 and became the shortest soccer player in La Liga. According to research and analysis in 2019, this player has a salary of more than 12.5 million USD, which tells you more than one needs to know. So, these were the shortest football players in the world in 2019. Let us know what do you think of our list in the comments down below.